Darcus Nims - "They Didn't Think I Could Do It"
In 2006, we asked Darcus Nims to discuss her biggest accomplishment. 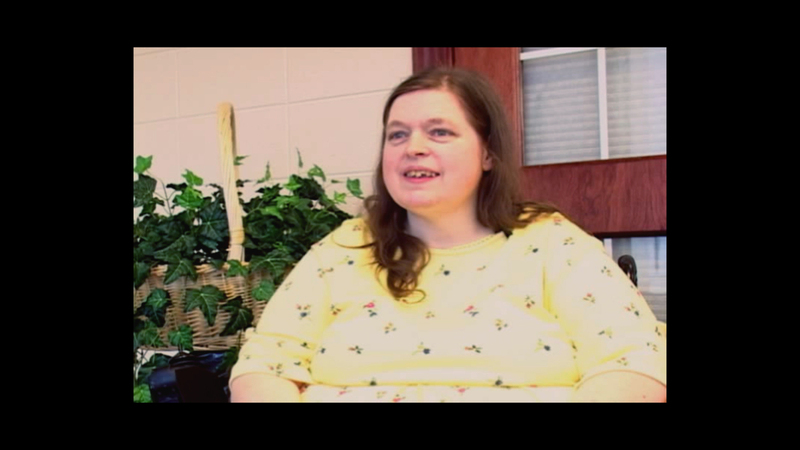 She said, “Most proudest thing would be getting self-advocates started, that showing people that what all the special stuff that disability people can do, you know.” Darcus founded Self-Advocates of Indiana, the statewide group of advocates with intellectual/developmental disabilities, in 1990. While Darcus continued her self-advocacy work, she took on the responsibility to care for her family. People told her she could'nt do her advocacy work and care for her family, but she proved everyone wrong. She was interviewed two years before her death at the age of 50.